I'm amazed at how often I forget this basic principle of human nature. Which people? Most all of them (me included). What kind of change? Most all of it. In my early years of leadership, I used to think that people wouldn't mind change if it was somehow bettering their lives or advancing the organization in a healthy way. Like many leaders, I looked at change objectively. If it was going to enhance the way that we served people or even allowed us to grow the ministry, then it must be good and everyone should be for it. I was wrong. Good change is still change. I vividly remember the first time I ran head first into this situation. The church I had planted was only six months old and we were busting at the seams. While those of us involved in leadership were enjoying the feeling of a full room, I knew that we had to add an additional service if we wanted to continue to reach new people. It was a black and white decision for me. We started this church to reach new people. Heck, we were only six months old with few, if any, “traditions” yet. How big of a deal could this be? So the next Sunday, with very few conversations had with anyone, I stood up and casually mentioned at the end of the service that in four weeks we were going to be adding a second service. I thought they might be so excited that they would carry me out of the room on their shoulders. Haha! I was wrong. Really wrong. Instead, my announcement was greeted with lots of blank stares and more than a handful of concerned emails the next day. Why do we need another service? I actually saw an empty chair next to me last week. Where are we going to get all the additional volunteers to cover this additional service? Will we lose our sense of community now that we’re spread out over two services? If you think people are going to embrace change simply because it’s a good idea, you like it, or you’re paying for it, then you are in for a long and painful season. While nothing really makes people love change, I’ve learned there are a few things that help take the sting away. 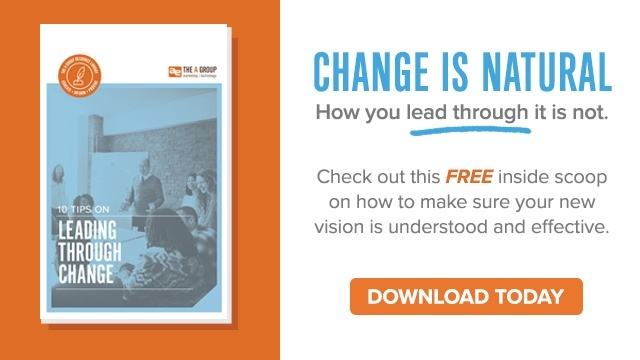 We put together a FREE download just for you and your team to help you walk through change with intentionality and purpose. It can be a tough thing to navigate, but these 10 tips will help increase the effectiveness of your efforts. Download below!